Such a variety of choices. Such Simplicity. Such Deliciousness. 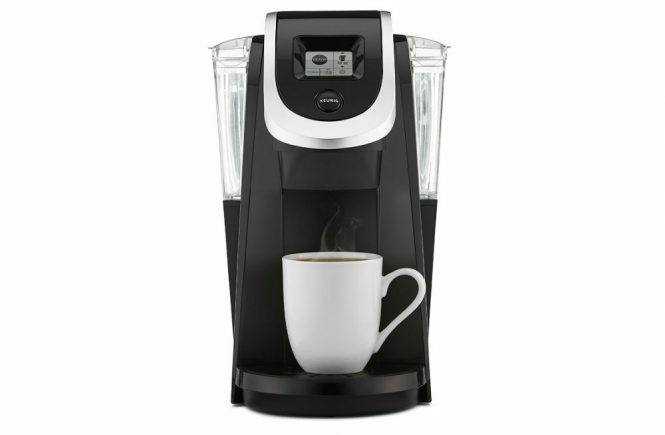 This coffee maker from Keurig boasts the revolutionary Keurig Brewing Technology. 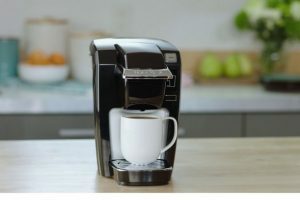 It is designed in such a manner that it can read the lid of each K-Carafe or K-Cup pack to create the perfect brew every single time. There is also a separate setting for other beverages such as chai, hot cocoa and mochas. 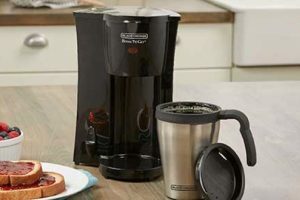 The K250 brewer series gives you the ability to brew a 4-cup carafe with the same effortlessness and comfort of making a single-serve cup—all of this at the touch of a button. This is not your typical coffee maker. 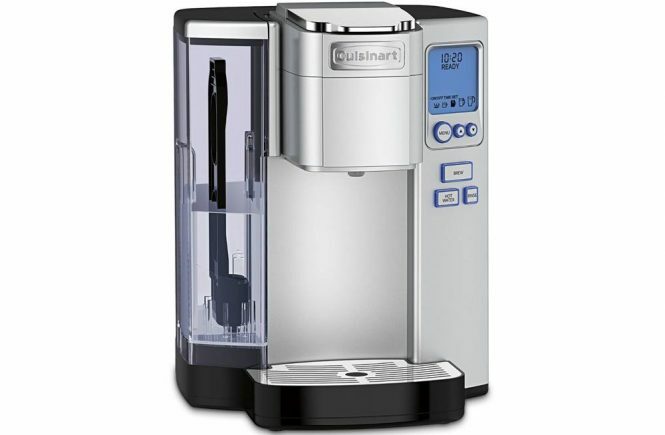 Other features in this product include a water reservoir with 40-ounce capacity, a 2.4-inch interactive touch display in white and black, and a strength control option for making stronger coffee. There are over 400 different varieties to choose from, including brands like Lipton, Starbucks, Green Mountain Coffee, and more. The quick start instructions of the product should not be too difficult to understand. You just need to open everything, take out the water filter from the pack (there are two, only one needs to be taken out), soak it in water for about 5minutes, rinse it, and put it in the plastic filter container. The pedestal at the bottom just needs to be slid in. As it does not move with the machine, you can take it out and wash it easily. You have to fill the reservoir with water and then turn it on and just follow the directions given. 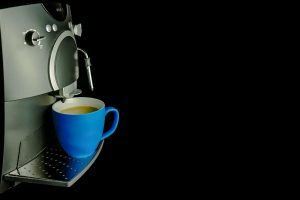 It should work comfortably with most of the cup sizes within the supported range. The setting you use should be dependent on the pod or box that you are using. Compared to stovetop kettles the water gets heated up pretty quickly and it can churn out cup after cup pretty quickly. The reservoir goes down quite quickly when you have 5 or 6 people getting drinks, but it should not be too hard to fill up using the sink hose attachment. The reservoir top does not hinge and sits quite solidly. A number of other products are available on the market for you to make your choices from. As a customer, your choice should be dictated by the product that best serves your needs. Take into consideration each brand and option available before making your choice. 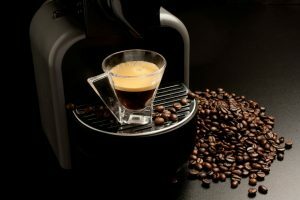 The K250 Brewer can be compared to two similar products, the K475 Brewer, and the K575 Brewer. 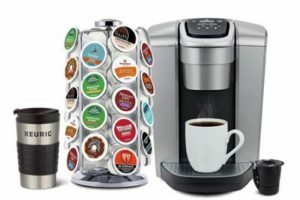 All three are compatible with K-Cup Pods, K-Mug Pods and K-Carafe Pods. The coffee filter used is the reusable Keurig 2.0 My K-Cup coffee filter. The three brewers are also similar in the fact that they support brew sizes of up to 30 oz. The K250 Brewer has a removable 40 oz. water reservoir, while the K475 Brewer has one that is 70 oz., and the K575 Brewer contains an 80-oz. size. The K250 has a black and white touchscreen while the K475 has a 2.4” color touch screen and the K575 boasts a bigger, 2.8” XL sized color touch screen. While the K250 only has a strength control and high-altitude setting, the other two have more features and programmable controls to offer. 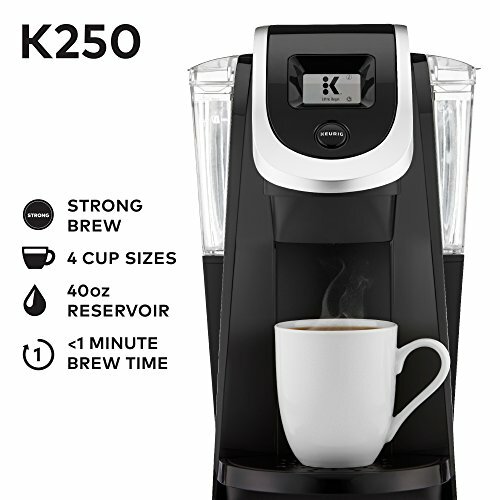 The K475 Brewer boasts temperature control, strength control, high altitude setting, energy-saver mode, auto on/off, digital clock, favorite settings and K-Carafe auto brew. It also has the option to set the preferred language to English, French or Spanish. 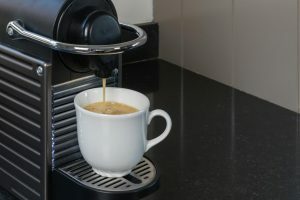 The K575 Brewer has all this and an added hot water on demand function. 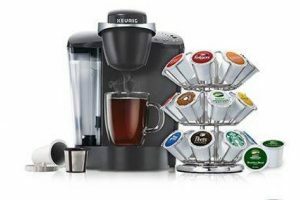 Overall, the Keurig K250 Coffee Maker is quite easy to use with just a few button pushes. In comparison to the less expensive models, this one comes with all the extra items needed to increase the longevity of use so that you do not have to buy a new brewer every few years or so.